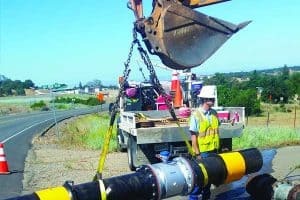 A cross connection is a point in a plumbing system where the potable water supply (your treated drinking water) is, or could be, connected to a non-potable source. Non-potable sources include wells, irrigation systems, livestock troughs, swimming pools, and solar heating and fire sprinkling systems. What are we protecting the water supply from? Non-potable water could contain pesticides, pool chemicals, animal waste or other contaminants that must be prevented from flowing backward into your home and the public water supply. What causes water to flow backward? Back-siphonage and back-pressure. 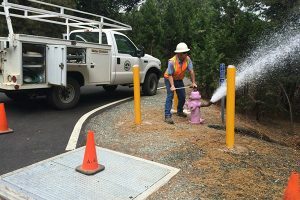 Back-siphonage occurs when the public water supply pressure drops and pulls water back from the customer’s premises (for example, when a fire hydrant is turned on). Back-pressure is created when there is a sudden increase in pressure in the customer’s system. This could be from a pump or other means of increasing pressure. Both back-siphonage and back-pressure conditions are common in rural areas. It is a special valve that prevents contaminated water from flowing backwards. Backflow prevention assemblies should be installed on residential plumbing as close as possible to the water meter. Can I use a check valve as a backflow prevention assembly? A check valve is not equipped with test connections to assure that the valve is preventing backflow. 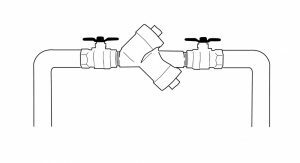 Is it necessary for every water customer to install a backflow prevention assembly? No. 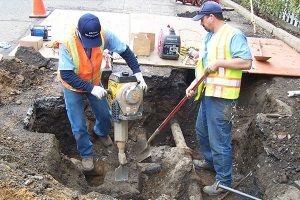 Homes where there is no opportunity for cross-connection are not required to have backflow prevention assemblies. AWA has a short questionnaire for you to complete that will help us determine whether your home needs backflow protection. How can I tell if my home has a backflow prevention assembly? They are usually installed close to your water meter, often under a box or insulated plastic cover to protect the pipes from freezing. A typical backflow assembly looks like the illustration shown. 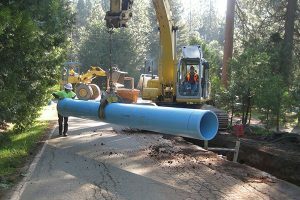 Additional specifications are available on the Connection and Installation Assistance page. Who can install my backflow prevention assembly? 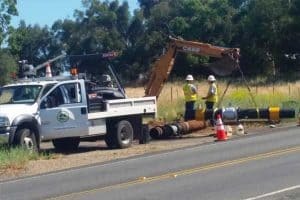 Customers work directly with Amador Water Agency staff to determine the proper type of device needed for their plumbing situation. The homeowner owns the backflow prevention assembly and is responsible for installation by a licensed plumber. 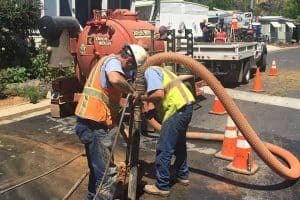 After the initial installation, homeowners must have the backflow device tested annually by a certified backflow tester and the test report sent to AWA Customer Service department. Why is annual testing required? 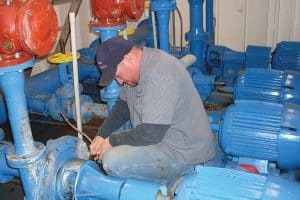 A backflow prevention assembly, like any mechanical device, is subject to failure. State law requires annual testing to assure that the devices are operating as designed. The State of California certifies professional testers who may or may not be licensed plumbers. AWA Customer Service can provide you with a list of certified testers and approved backflow assemblies. (link to docs online.) AWA staff will perform annual testing if the homeowner is delinquent in the testing schedule. The fee for AWA testing is usually higher than a licensed backflow assembly tester’s. Thank you for your help with this important health and safety effort. Please call AWA Customer Service at 223-3018 if you have any questions about AWA’s Cross-Connection Control Program. Backflow assemblies will reduce water pressure from 7 to 10 pounds. Backflow assemblies need to be protected from freezing temperatures. It is your responsibility to maintain and repair a leaky or broken backflow device. 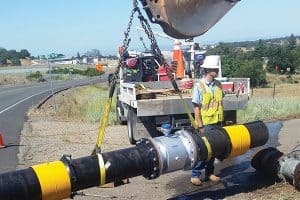 This Cross Connection Control Program is mandated by the State of California. AWA is required to enforce the program. Failure to comply with backflow requirements can result in discontinuation of water service.